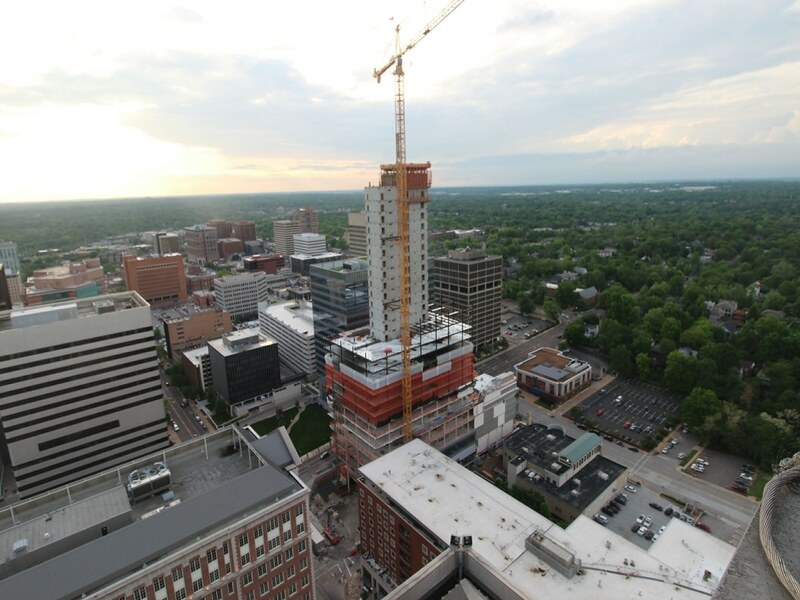 centene 2 is about topped out, this photo is a couple months old but has glass going up the sides of it now. it's really a monolithic presence in clayton and looms over even university city, now. Last edited by warwickland on Tue Jul 24, 2018 2:02 pm, edited 1 time in total. 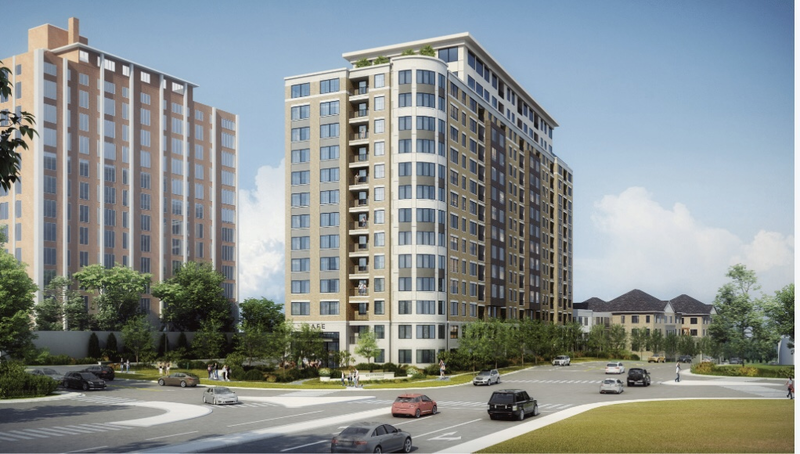 there are numerous okay-enough highrise residential proposals floating around clayton, but this one infills a vacant grocery store and associated parking lot. Sub District 2's Tower is very large up close. This photo is from Thursday. As of today, another half floor of steel is all that's left till the strucutre is complete. That should happen within the next day or two unless they slow down for a large topping out party. This building is large (chunky) when viewed from the East or West but when viewed from the North or South, it looks sleek, especially from the North (seen below). Wellbridge, a fitness company has already opened and their former building is beign demolished for a parking garage. Down at Carondelet, the parking garage is coming together with the corporate auditorium ready to rise. There appears to be a handful of steel beams left to be placed on the main tower. Elsewhere, the parking garage is coming together, and as newstl2020 said above, excavation and demolition has begun on the residential portion. I think this is going to look exceptional once all the buildings go up. 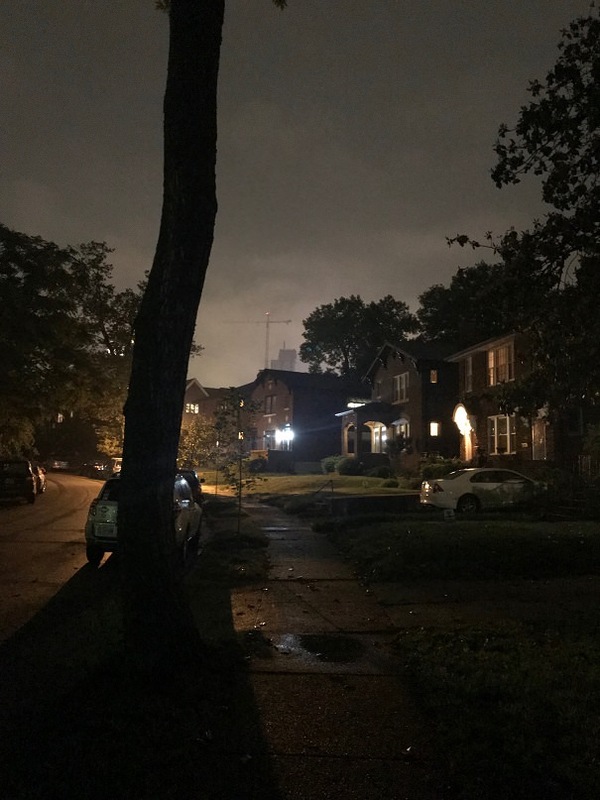 I am thinking that it shouldn't be much longer to will hear something on the residential Tower along Carondelet and the next round of skyscrapers at the wedge site behind the Ritz Carlton. Here are some photos from today from varying angles. The first is from nearly same spot as the photo I posted above.